The life of a trader can be lonely. The hours spent in front of your computer screens... suffering through trading decisions on your own... wondering if there's anyone else out there going through the same things your are. But now it's all going to change for you. That's because MyCandlecharts.com gives you a friendly, exciting community of like-minded traders. Not only will you be able to forge relationships with traders around the globe inside MyCandlecharts.com, but you'll also have front-row access to cutting-edge trading insights, bonus training, and step-by-step assistance to enhance your trading results. With our brand new Casual Trader service (free to all MyCC.com members), you don’t have to be tied to your desk during the trading day waiting for good opportunities. We created this new service to help anyone quickly find good trade opportunities and be aware of market situations in just a few minutes each week. Our Casual Trader insights are perfect for those who work or go to school during the day, but still want to participate in the markets. Every week on Sunday evening we will post a new brief update to give you ideas on how to profit with a larger, longer-term view of the markets. Again, this is totally free to all MyCandlecharts.com members! When you attend these online meetings, we analyze any market of your choice – live during the session! Plus, your knowledge and skill will improve as you watch how we use the best of Nison candles, western indicators, and trade management in our analysis. This is a prime resource to line up your trading ideas for the very next session. In response to member requests, we have added this new feature to enhance your learning by interacting with other members. This is where you can post charts along with questions, and invite other members to add their own comments and insight. 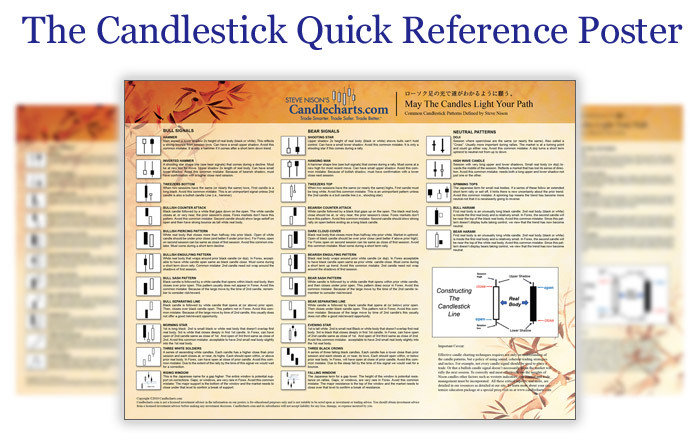 It’s a great way to boost your knowledge and skills with candlestick charts. Our weekly Forex Focus session will give you our views just after recaps. Using our candlestick methods and proven technical tools, we will give you valuable insights you can use to make smarter FX trade decisions. Each week you will get our unique option analysis to assist you in finding the best opportunities. The sessions will be conducted live in the chart room and posted for all members to access. From time to time, we teach special topics to traders that focus on using candlesticks in unique situations. Monthly members receive access to the most current session, 6-month membership holders receive access to the five most current sessions, and 12-month membership holders receive access to all of the sessions in the library – plus all future special topic training sessions (normally $149 for each session). 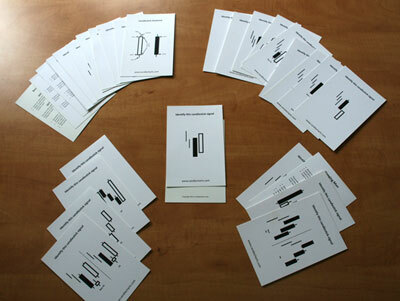 Ready to test your understanding of Nison candles? Then you’ll love this intellectual challenge that members are crazy about! In this member area you’ll see a chart with a unique situation to analyze. Then it’s up to you to answer the question: “What would you do?” The next trading day we then post a video suggesting how we would handle that trading situation. It’s a fabulous way to test your knowledge on a regular basis… which also improves your skill week after week. Our blog posts focus on topics to help broaden your perspective as a trader. From candle patterns to understanding trade management strategies, we aim to give you valuable new insights and worthwhile reminders. In these posts, we will give you the strategies and tactics we have discovered that work time and time again. Plus, you’ll also get priceless tips on how to avoid common candle misuses. Did you know that a sector can cause 35-60% of a stock’s move? That’s why we are devoting a section of MyCandlecharts.com to helping you understand which sectors are worth examining. At a glance, you will see the industry groups that are the biggest gainers and losers. You’ll have access to this abundant archive filled with a wealth of information from Steve’s video trading newsletters. Each video episode focuses on an individual candle pattern, and is designed to hone and refine your candlestick knowledge. Knowing what the major markets are doing is pivotal to your trading or investing success. That’s why it’s vital to keep an eye on our Weekly Wrap-Up. This is where you get our views on current condition of the major stock indexes, Forex markets, and pivotal commodities such as gold and crude oil. When you get inside the Resources section of the member site, you’ll find valuable information on economic releases, earnings, and headlines. You’ll also have private access to our extensive collection of educational materials, including numerous articles, tips, and invaluable information for traders in all markets. Want to learn how to most effectively use candle charting and western technical indicators with trading strategies in current markets? Then this is the resource for you. On most trading days we post a Video Chart of the Day. 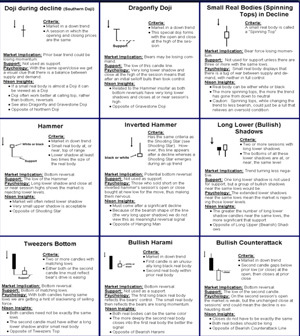 These charts cover candle charting, Western technicals, and trading strategies. The goal is to help push your education ahead by discussing interesting situations we discover in charts of different markets and time frames. All of these video lessons are available for you to access at any time. 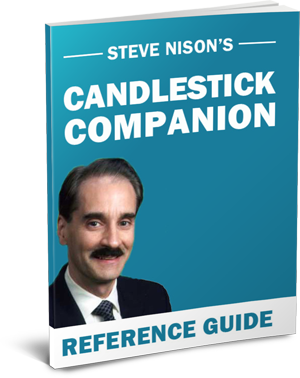 Steve Nison holds the distinction of introducing Japanese Candlestick Charting to the Western world. Mr. Nison is not only the acknowledged master of these previously secret candlestick techniques, but is also an expert on Western technical analysis. He has presented his trading strategies to traders from firms such as Goldman Sachs, J.P. Morgan and Fidelity on how to apply – and profit from – these methods. Syl has been trading for six years and is a former student of Steve Nison. He has an extensive knowledge of both candles and the Nison Candle Scanner software. Syl is skilled trading options and equities when combined with candlestick and quality chart patterns. 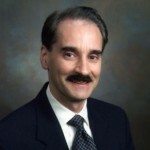 Brian has been trading stocks for 37 years, and has devoted much of his trading career to options strategies. 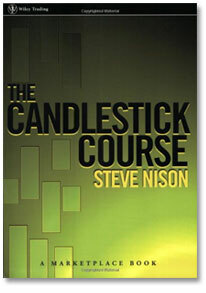 During that time, he has used Steve Nison's candlestick patterns to continually improve his knowledge and skills. Recently, Brian has has also added Elliott Wave theory to his set of trading tools. This educational book is for everyone. Novices will appreciate that it starts with the basics. Experienced traders will find that each chapter's lessons will help test, sharpen and refine skills as they navigate today’s volatile markets. "You guys are creating the best educational trading site on the net...I love the content, chat room, Monday's webinar to analyze any market....you are awesome!" "Thank you very much for catering to my request and discussing the topic on options volatility this morning. This topic has always confused me and I think your hands on approach has helped me understand it better than what I gained from reading about it. I came away with more than when I started so its to your credit entirely." "Wow, this room is awesome! It's everything you guys said it would be. I appreciate all the help!" Traders everywhere are scrambling for an advantage in the market. Join us inside MyCandlecharts.com to give yourself the relationships with other traders and the advantage you are looking for! Every day we will help you become the trader you really want to be by showing you what is happening in the market... how you should position yourself... why it's important... and what to watch out for. We've made it as easy as possible for you to succeed with our experienced guidance! Please don’t let this opportunity slip through your fingers. 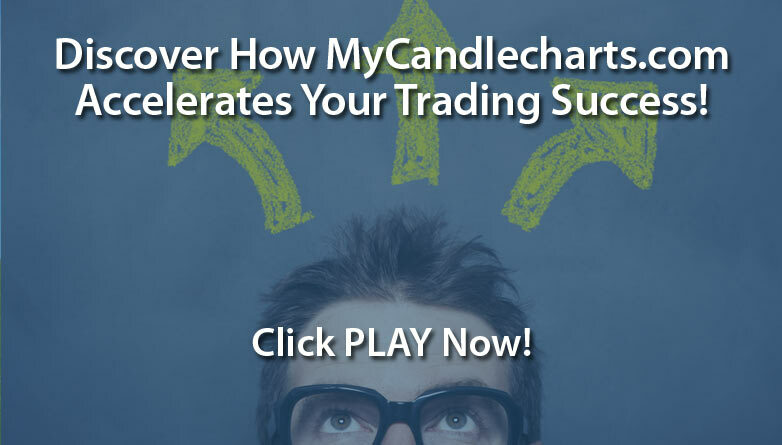 Grab your MyCandlecharts.com Membership now for just $107 per month billed automatically to your credit card. Do it now while this is fresh in your mind and before you set this aside. Each moment you delay significantly increases the amount of trading success and profit you leave on the table. Don’t put this off – it’s your turn to join up with other traders and reach new heights. I look forward to having you join us soon!